Can I Just Say . . . 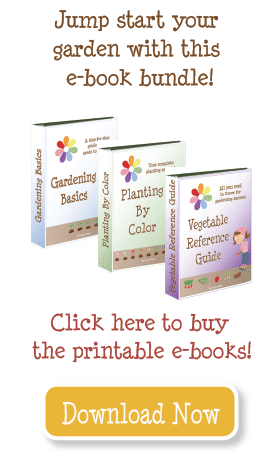 Your gardens are amazing! Every year at this time I would receive 30+ emails asking for my feedback and advice. I love “talking gardening” and seeing what everyone else is doing, but it was getting difficult to reply to everyone in a timely way. At one point I started posting these conversations, but the best thing I ever did was come up with the idea to have you post YOUR garden plans and pictures for EVERYONE to see. First, I love seeing and sharing your gardens. They are so inspiring! Second, I love that I’m not the only one who gets to benefit from your hard work–each garden plan highlights a new perspective, a different idea, or creative solution that can help everyone who is new, or just looking for new ideas. Finally, a picture is worth a thousand words, and it’s so great to see the gardens you put your blood, sweat, and tears into. It was worth it–your gardens are beautiful! So a huge THANK YOU to those who have gone to all the work and trouble (taking pictures, creating spreadsheets, writing articles) so we can all enjoy the experience of sharing your garden plans. Click here to see the whole collection of garden plans. Click here to find out how you can post your plan and get feedback.